AppsMarche a venture by Bell Technology is an innovative approach towards providing a technical leverage to the distributing market that includes local vendors. App Creator is a platform where anyone can make and publish android app of their selected business domain. The concept underlying the AppsMarche is to technically facilitate the users and merchants of distributed market. Even after an E-commerce revolution, still there are 70% of merchants who are not using technical platform to enhance their respective businesses. The giant e-commerce ventures engage and approach potential customers and update the existing ones about their business using technology. Many of the e-commerce users that are not e-literate seem dissatisfied with the products and service offered by the e-commerce ventures. This results in the survival of local merchants/ service providers. This service void drives an impulse in us to develop something for the local merchants and customers. AppsMarche provides an android platform to all the local vendors, so that they can boost and enhance their business services. AppsMarche centers around the aim of connecting vendors and customers on a very single platform that suggests direct offerings of their services in the most benefitted manner with the mantra of Your Business Your Customers. Moreover, customers assisted with technical services offered by the vendors. 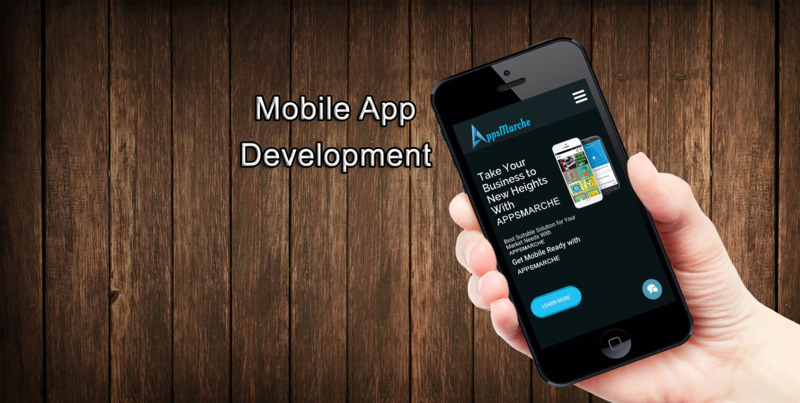 According to the recent survey it has been estimated that around $1 billion was invested in past year in mobile app development which are only increasing year by year. Hence, there is no second thought that the Smartphones will be the most obvious choice to validate the products and services in the coming future. To build the high quality products furnished with new technologies that brings the market success and contribute to a better world for our customers.